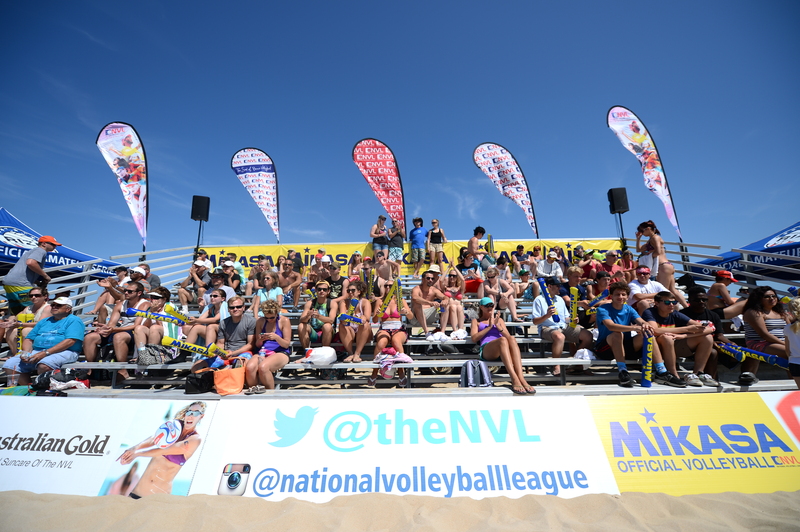 MILWAUKEE, Wis. – The National Volleyball League (NVL) heads back to Milwaukee for its fourth pro tour stop of the 2015 season from July 10 – 12 at Bradford Beach, the largest public beach in the city. The tournament will feature a 16-team draw per gender with teams competing for a $50,000 prize purse. General admission to the Milwaukee Championships is free and VIP tickets may be purchased here. NVL RIZE, NVL’s official amateur series, is hosting a concurrent tournament and Clinic with the Pros throughout the weekend with finals being showcased on center court between the NVL women’s and men’s finals on Sunday. Registrations for the tournament and clinic may be submitted here; for clinic-only registrations, please click here. “We are excited to host the NVL at the beautiful Bradford Beach. Milwaukee has always been a strong volleyball community, so we expect huge fan support for the pros and juniors,” said Tomas Goldsmith, Bradford View Volleyball Director. The official Milwaukee Championships hashtag is #NVLMKE. All center court matches will be broadcast to fans for free on the NVL Network. Fans interested in volunteering may apply here. September 24-26: Players Championships – Club Med Sandpiper Bay/NVL Volleyball Academies – Port St. Lucie, Fla. The NVL is currently sponsored by Australian Gold, Club Med, Gatorade, Menards, Mikasa Sports, The ONE Group, and Polaroid.